The men’s soccer team is starting off strong with an overall record of 5-1 with their only loss coming against the No. 1 team in the country. The team’s most recent victories come from the battles on the road at Saint Mary’s University of Minnesota in Winona and at University of Dubuque in Dubuque. The victory over Saint Mary’s University came in double overtime. For the first 100 minutes of the game, both teams were scoreless. There was an earlier play where senior forward Javi Simon scored but was later revoked because the officials believed he was offsides. In the 102nd minute of the game, sophomore forward Tigrio Huerta took a corner kick and connected with Simon. The ball ricocheted and found the foot of sophomore defender Luke Denson who was able to score the game winning goal. From Winona to Dubuque, the team was happy to only be a mile away from campus to take on cross-town rival University of Dubuque. 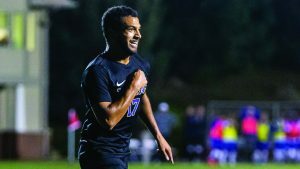 For the past two years, Loras men’s soccer has lost to the Spartans, last year at home and in the Rock Bowl. This time was, the Duhawks were ready. Junior midfielder Mark Histed running to celebrate right after he scored his second goal of the night against cross-town rival University of Dubuque. The defense is fairly aggressive, Loras tallied 12 fouls while Dubuque tallied seven. 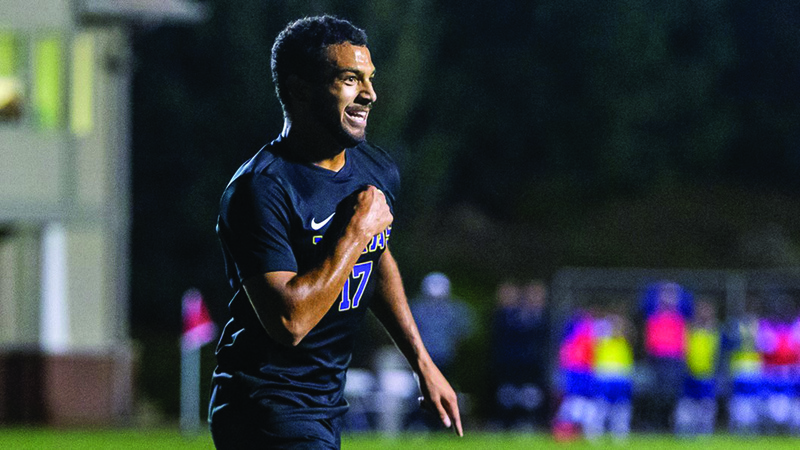 Regardless, things worked out for the Duhawks in the 26th minute junior midfielder Mark Histed found the net after dribbling across the box and taking a rip with a lot of pressure. Histed’s first goal of the season was assisted by junior defender Ian Lenke. Both teams battled back and forth matching each other’s 16 shots taken. The game continued 1-0 Loras until the 82nd minute when Histed made the play again after recovering a rebound from his own shot. This practically sealed the deal with the Duhawks up 2-0 with less than 10 minutes to play. “Every player could be the guy to do it so we just believe in the next man in. I just go out there and you got to tell yourself you’re [going to] score so you just have to have that mentality, be the next guy who’s [going to] put that goal away,” said Histed. The Loras College men’s soccer team will be playing in a conference game in the Rock Bowl Saturday at 7:30pm against Nebraska Wesleyan. The Duhawks then will be back on the road for the next two games against UW-Whitewater on Monday, Oct. 1, at 7 p.m. and Buena Vista University on Wednesday, Oct. 3, at 7:30 p.m.